Podcasting. Do you use it in your content marketing strategy? Podcasting is a cool way to share your content, market your brand, and gain interested and engaged prospects. You can open your marketing reach to new audiences that may be different than the typical blog reader, Slideshare skimmer or video watcher. But, it can be a challenge coming up with relevant, interesting topics for your demographic. 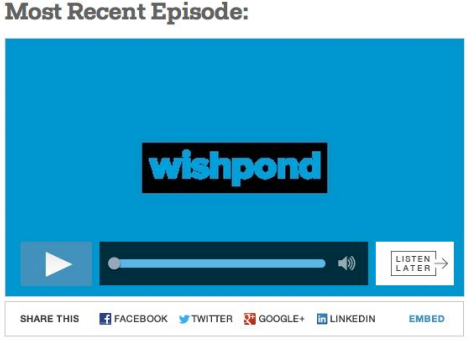 We’ve been making podcasts at Wishpond for a long time, and I thought I’d share some of our top tips for generating podcast content that’ll make your audience love you. Here’s five top podcast ideas for your content marketing strategy. Treat your podcasting like a business. Plan it out, stay focused and be consistent. By creating a theme and sticking with it, you can develop a loyal following of people who want to know about the stuff you’re talking about. Do you want to be the network hub? Do you want to be seen as an industry expert? Do you want to charge a fee for your recordings? 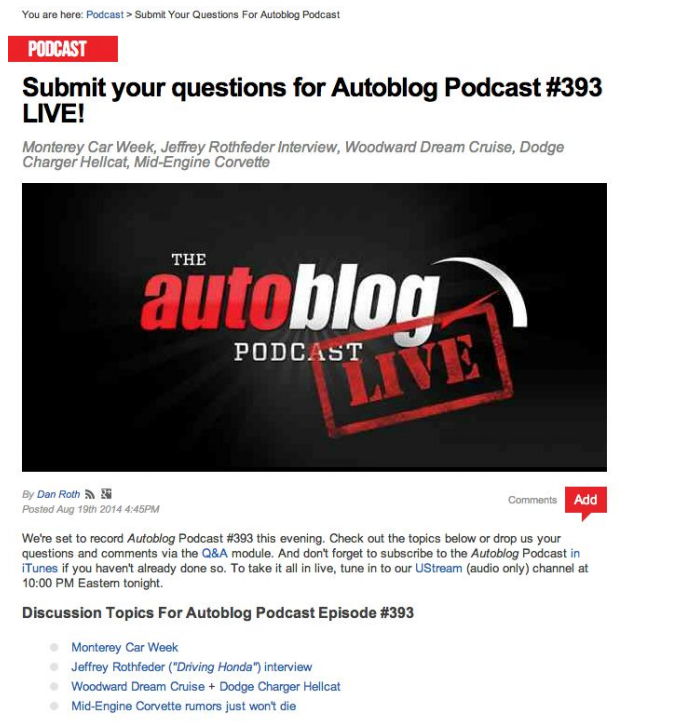 Are you using podcasts as a method to drive traffic to your website, generate leads, etc? Are you podcasting as a method to reuse content? Once you’ve got the fundamentals of why you’re doing podcasts, creating a theme gets a lot easier. For example, let’s say you’re in the real estate business. Your goal for podcasting is likely to develop relationships and build trust with future clients. You could create podcasts with the theme of “Real Estate How-To’s” as part of a real estate marketing plan. The most successful podcasters tend to list out podcast topics in advance (just like blog articles). Choose topics that support your podcast goals and are in keeping with your brand, your audience and your industry. Once you know your theme, take the time to brainstorm a whole bunch of topics your audience would want to know about. A highly successful podcaster, who’s turned a small following into a multi-million dollar business, is Michael Stelzner, founder of Social Media Examiner. He’s been broadcasting the popular Social Media Marketing podcast for years, and publishes a new themed topic every week. That’s fifty-two different topics a year - all related to marketing with social media. An ebook seller* ,* you could podcast weekly book reviews, author interviews or even the writing process. A travel blogger, you could podcast bi-monthly travel tips, traveller interviews or even culture etiquette tips (with stories if you’ve got them). A blogger entrepreneur* ,* you could podcast daily tips on how to succeed in business with the nitty gritty real-world ups and downs, or even interview fellow entrepreneurs in your industry. If you’re still not driving traffic and gaining followers, make a smart business decision and try a new theme. As a content marketer like me, you’re always looking for ways to re-use your content. Podcasting is an excellent opportunity for this. You’re probably writing some great content on your blog already. (If not, start now!) You can use it to create even more online content, and connect with an audience that prefers to hear your information (not just read it). Your audience might like to listen to your show on their daily commute, on their lunch break or whenever, and they’d just rather listen than read. 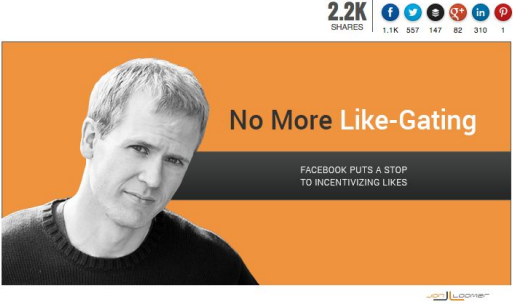 Jon Loomer is a well known successful blogger and entrepreneur who writes about Facebook Advanced Marketing. He frequently tests reading his blog articles out loud to create personable podcasts. Not only does this give Jon more leverage for his content, it shows him as a genuine guy (which increases trust), and can increase his website traffic by appealing to a new market. 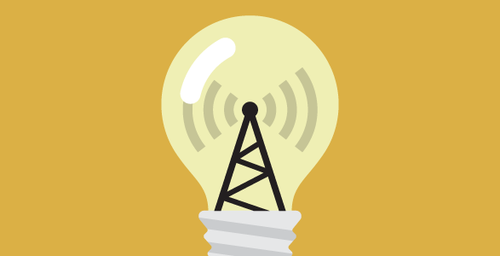 A clever podcasting idea is to create a series of recordings on one particular topic. In my industry of online marketing, for example, landing pages are a hot topic. There are tons of elements to making a landing page that converts. My colleague James Scherer and I decided landing pages would make a great topic for a series of podcasts. As well, the fact that Wishpond makes landing page templates made it a no-brainer to come up with the series idea. Not only is it educational on a topic that marketers want to know about right now, it also serves our business purposes. If you want to get tips on improving your landing page conversion rate, types of pages you need, how to make landing page campaigns or anything else landing pages, check out our podcast series on landing pages. The topic ideas for your podcast series should be ones that you know a lot about, are of interest to your listeners, and relate to your business goals. Make it relevant content - The more relevant your topics are - both for your business and your market - the better you can tap into your consumer’s wants. Like any marketing, the better you can appeal the worldviews of your customer, the more success your podcast series will be. Talk about useful information - Make a series of how-to’s with an introduction to a topic and 5-10 recordings of how to do and improve on that subject. Keep it short - try to keep your podcast series in snippets of ten minutes or less. That way, you keep your audience engaged, without over-saturating them with information. Be personable - People tend to listen to podcasts that they can genuinely relate to. Part of connecting with your audience is to record your audio content in a friendly, personable kind of way. It helps to create your own slant on the subject matter too, so it’s not just the same old content being talked about again. We’ve found making podcasts with two people develops a conversational tone and is way easier to listen to (speaking of conversations, I’ll talk about guest podcasts next). Another successful idea for your podcasts is to invite people to take part in your show with you. Bring on industry experts and people with fascinating stories. Interview them like a short radio broadcast. Record it to share with your audience. There’s in fact a whole group of podcasters/ bloggers who only do guest podcasting. It’s social. It gives your audience expert information, and it works as a win-win. Your interviewee gains exposure to your audience, and they’ll promote your episode to their market too. Compile a list of experts in your industry. Email each one personally, inviting them to come on your show, and how taking the time to talk with you and your audience will benefit them. We live in an age of social media. Your audience wants to engage with you. And, as a marketer, you want to engage with your audience. 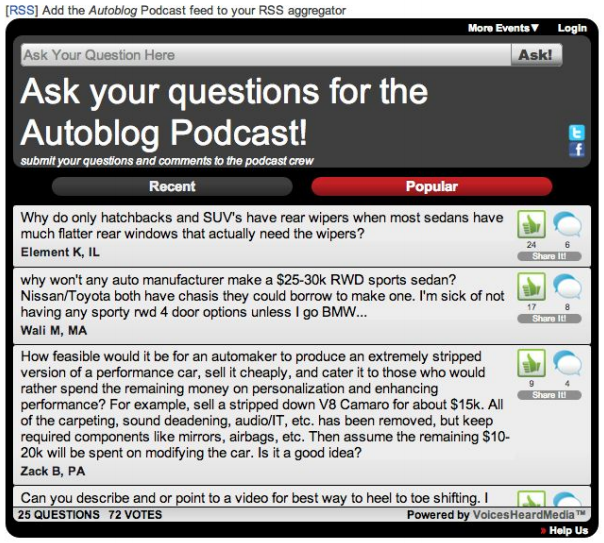 Email your podcast subscribers and simply ask them for future topics. Set up a contest landing pageon your website, and ask for topic suggestions. Give away a small prize of a gift certificate, a free product you sell, or even the chance to take part in interview with an industry influencer. Make a vote contest on Facebook, with 10 topic suggestions for a podcast series. Ask for topic suggestions in the comments of your published podcasts. Post your topic, with a few intriguing details to lure in your listener. Provide a Q&A forum in advance of the show. This not only gives you insights into the wants of your listener, it gives you more to talk about during your podcast and it can create a community with your listeners - making you the hub for your industry or topics. They give the specific topics for their upcoming podcasts, then open up their website forum for anyone to post a question. What’s really cool is the way they’re able to monitor the popularity of questions by including like buttons for each submission. They also enhance their site into a community hub by allowing other members to comment and respond, and have sharing options too. Podcasting can drive traffic to your site, spread the reach of your brand and increase your business revenues. Try out one, or all of these ideas to generate the topics you need to increase your podcast subscribers. [Podcast #2] What is a Landing Page and why do you need one? What do you think? 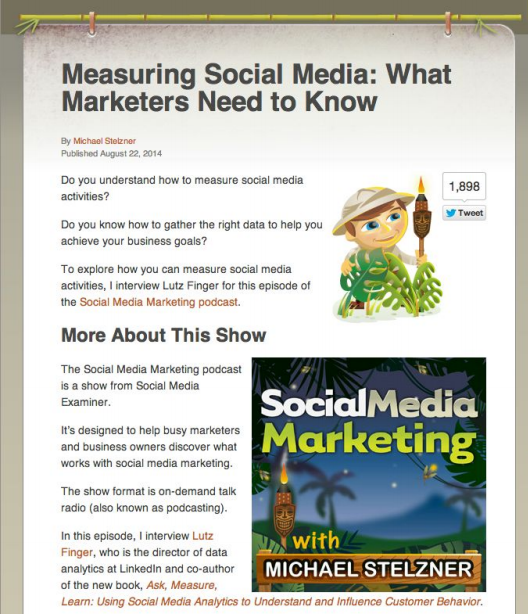 Do you use podcasts in your content marketing? How do you come up with ideas?